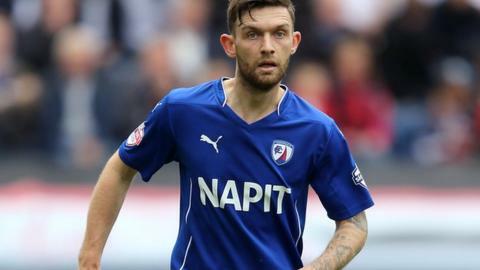 Chesterfield midfielders Jay O'Shea and Ollie Banks have extended their deals until the end of the 2016-17 season. O'Shea, 27, joined the Spireites from MK Dons following a loan spell and has scored 26 goals in 124 appearances. Banks, 22, was signed from FC United of Manchester and has scored seven goals in 51 league games. "I made it clear I was keen to keep them and I'm delighted they've signed," manager Dean Saunders told the club website.